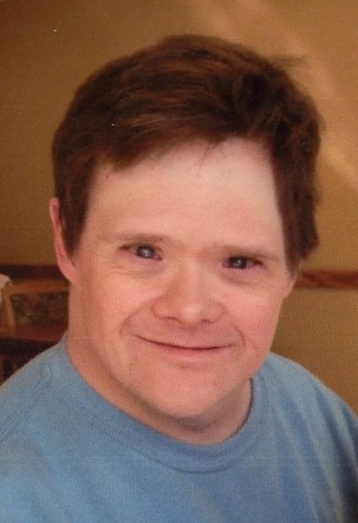 OSWEGO, NY – Mark C. Suits, 49, a resident of Oswego, passed away Tuesday March 10, 2015, at Oswego Hospital. Born in Oneida, NY, he was the son of the late Kathleen Suits. Surviving are his uncles, Paul (Wendy) Suits of Minetto, Mike (Diana) Suits of Lovettsville, Va., and George Jr. (Cindy) Suits of Verona, NY; his aunt, Barb (Darrell) Hamm of Great Mills, Md. ; and many cousins. Mark will be remembered as being loving, kind and fun natured, with a contagious laugh that made people smile. He was a cheerleader for the Oswego and Oneida football teams. He was an avid swimmer, who won three gold medals in the Special Olympics. He loved the 1980s music and danced his heart away. He will be truly missed by all of the lives he touched. There will be private family services. In lieu of flowers, donations may be made to the Special Olympics of Central New York, 6315 Fly Road #2 East Syracuse, NY 13057. So sad. He will truly be missed. He had a beautiful smile and was a sweet person. Heaven gained the sweetest angel.